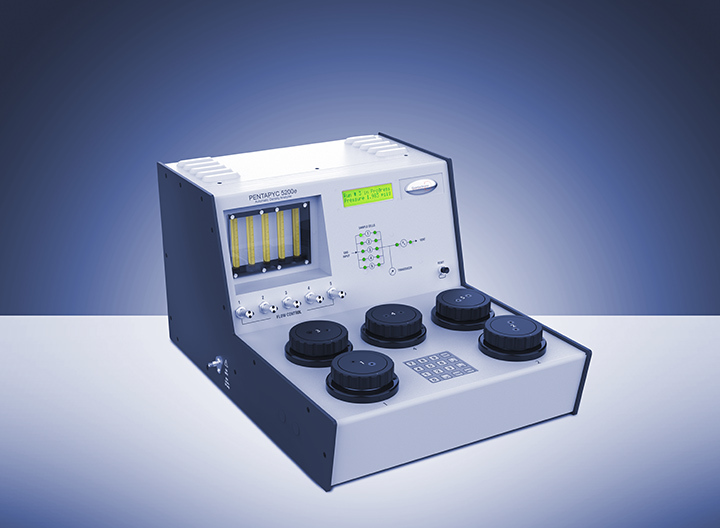 Gas pycnometers measure the true density of solid samples using an inert gas to measure its volume by applying Archimedes’ principle of displacement. Unlike similar devices that use liquids (water, alcohol, or kerosene), these instruments are easy to use and do not affect the surface chemistry or physical structure of the sample during measurement. UltraPyc 1200e and PentaPyc 5200e measure samples from 1 cm³ to 135 cm³ with the highest level of accuracy due to their multiple built-in expansion volume chambers. Micro UltraPyc 1200e achieves the same for samples between 0.025 cm³ and 4.5 cm³.